A major fire broke out today at the roof of Paris's historic Notre-Dame Cathedral. The fire led to the collapse of the spore and ravaged the roof of the gothic monument, according to Paris deputy mayor Emmanuel Gregoire. He described the incident as "colossal damage". Workers have scrambled "to save all the artworks that can be saved," French President Emmanuel Macron is also said to be on his way to the scene. Flames and smoke plumed from the spire and roof of the cathedral, which is visited by millions of people annually. National Conference Omar Abdullah tweeted over the Notre Dame fire. "This blaze looks terrible. I hope they are able to put it out before it completely guts this historic building," he said in the tweet. 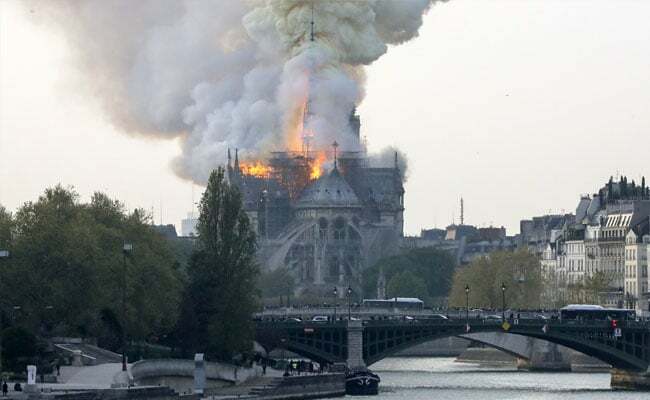 Germany lamented the huge fire devastating Notre-Dame Cathedral in Paris on Monday, with Chancellor Angela Merkel's office calling the building a "symbol of France and of our European culture", reported news agency AFP. "These horrible images of Notre-Dame on fire are painful," Merkel's spokesman Steffen Seibert said on Twitter. "Notre-Dame is a symbol of France and of our European culture. Our thoughts are with our French friends." 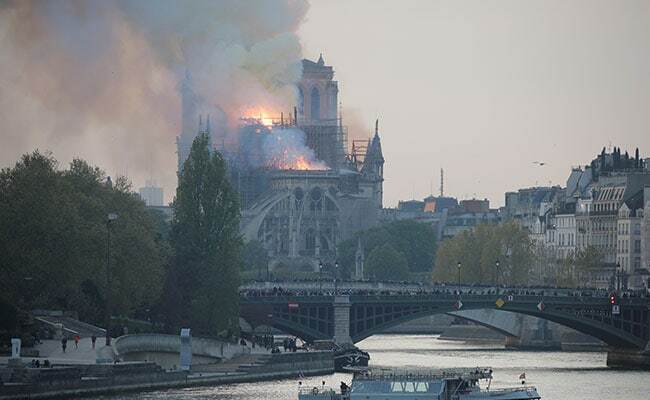 Apr 16, 201900:44 (IST) Read Here: Notre Dame Fire: Historic Notre-Dame Cathedral On Fire, French PM Says "Part Of Us Burns"
London "stands in sorrow" with Paris over the devastating Notre-Dame Cathedral fire, the British capital''s Mayor Sadiq Khan said Monday, reported news agency AFP. "Heartbreaking scenes of Notre Dame cathedral in flames," Khan tweeted. "London stands in sorrow with Paris today, and in friendship always." A fire broke out at the landmark Notre-Dame Cathedral in central Paris on Monday afternoon, potentially involving renovation works being carried out at the site, the fire service said.